Spare ribs for company potluck. iKAMAND saved the day 邏. 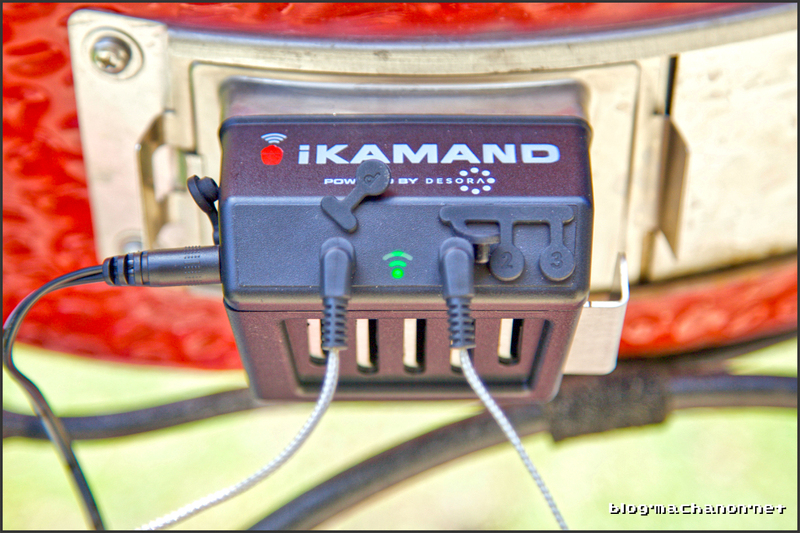 My iKAMAND is a nearly perfect unit with the occasional electric plug issue that has made its bout. I fixed the issue by using a pick to bend the insertion detection contact plate inside the female power jack. It now points toward the center and “hugs” the male power plug when inserted instead of hanging loosely. I’ve experienced Desora-based cloud server issues that temporarily rendered the iKAMAND useless. But those days seem to have come and gone. 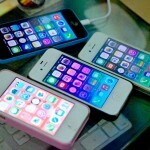 They were most frequent during the initial first two weeks after launch. As a durability test in my one month iKAMAND update, I leave my iKAMAND permanently attached to our Joe. I close the original lower vent door behind the iKAMAND to shut down the Joe after a cook. The only time I remove the iKAMAND is when the dome temperature exceeds 500° or when the lower vent feels too hot to the touch (if I can’t leave my index finger for more than 3 seconds). I also only remove the iKAMAND from the Joe to clean it. I hose it with water after a low and slow cook then I disconnect the power and dunk it in soapy water to remove the gunk build-up from smoking. It is back on the Joe and powered on once it dries. Just giving the iKAMAND a good hose down. I think I’m going to start doing this after every low n slow. (Course I take it out and also dunk it in soapy water too). I leave the iKAMAND powered on 24/7 since day 1 and it is still functioning like a champ. I cover the Joe when it cools, two hours after a cook, every time. As you can see, I abuse the heck out of my iKAMAND. I don’t put it back in its weatherproof pouch after every cooking session. This is what the original group of power users who were “beta testing” the iKAMAND should have been doing. Desora / Kamado Joe, if you guys need a real beta tester for your next product, let’s talk. I still cannot recommend going out and buying an iKAMAND. Even after looking at my own one month iKAMAND update and seeing how much success I’ve had with my unit. Would you buy a Samsung Galaxy Note 7 (when it was hot off the market) after hearing reports of its infamous randomly exploding battery? Probably not. Fortunately the iKAMAND isn’t going to explode on you, but there are just too much inconsistencies and quality issues reported with the initial shipment of the first generation iKAMAND units. Why should I need to jimmy rig the power jack in my iKAMAND to eliminate the power connector issue? I suggest waiting until Kamado Joe address the issues reported by early adopters of the first generation iKAMAND. Or wait for a second generation iKAMAND. For those that own a perfectly functioning iKAMAND, consider yourselves fortunate and continue enjoy using the smart BBQ controller!